I this article I have explained How to download video uploaded on “Quora”. To download the video I have used a very powerful tool. 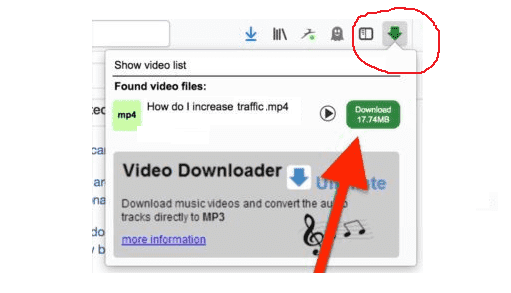 If you are one of those who want to download video then you are the right place. Quora, currently, doesn’t offer any direct solution for downloading videos from its platform, and there is no guarantee that they will allow the same in the near future. I have figured a way out to download the videos from Quora’s platform, and it works seamlessly. Easy to download and save videos embedded into a website to your hard disk. You can add youtube, Vimeo and other videos easily to your video list. This tool supports up to 4k videos. This tool supports Firefox and Google Chrome browser for download video from Quora. So you can use for both. Step 2: Install the video video downloader professional add-on. Step 3: Open Firefox browser and open the page on which the answer is available. Step 4: Click on the play button and let the video finish. Step 5: Now, click on the add-on icon and you will see the option to download the video. Step 6: Click on Download and save the video at your desired location. You have now successfully saved a video from Quora. Sometimes it automatically detects the video, while at times you need to play the video before it can detect the file. I have tested this trick will work for all the videos on Quora. And this extension works for all the embedded videos on a webpage. I hope you like this trick and you can utilize this trick and re-share your video content on your social media. Do let me know if you know of any other ways to download videos from Quora.